Hi. My name is Sam Jackson. I’m one of the owners of Heartland Turf and Landscape, along with my brother, Brett. We want to tell you about a few of the reasons why we think you should choose Heartland Turf and Landscape to be your lawn care service provider. First of all, quality. Now, of course, everyone touts their quality, talks about what a great quality job they do. So of course, we do a great quality job. We started our lawn care business fifteen years ago. We service Leawood, Overland Park, Prairie Village, Olathe, Lenexa, Johnson County, and other surrounding areas in Kansas City. We’ve had customers that have been with us that entire fifteen years. You don’t keep customers for fifteen years if you don’t do a great quality job. I’m not going to spend a ton of time on that. I want to talk to you about the other reasons that make us a great company to work with. First of all, we’re reliable. We will do what we say we’re going to do when we say we’re going to do it. You don’t have to wonder if this is going to get taken care of, whether that’s going to get taken care of. We’re super reliable. We always show up. The other thing is we’re really easy to contact. Let’s say you have a special event and you need to reschedule a service around that special event. No problem. Give us a call. If you don’t get straight through to someone on the phone, then we’ll get back to you immediately, usually within just an hour or two. But either way, we make sure that that concern is addressed and taken care of. We know that you want your lawn care provider to have great customer service, so it’s important to us to give you that. We’re also really easy to work with because you can manage your account online. You can log in. You can make payments with a credit card online. You can request services. There’s a lot of other things that you can do to manage your account super easily online. We’re super highly rated, also. 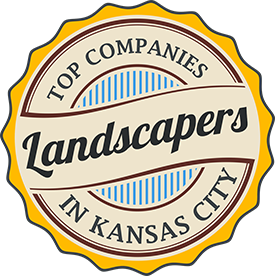 If you search Google for Heartland Turf and Landscape, and check out our Google ratings from neighbors in your area that also use our service, you’ll see they love our service. So really highly rated and check that out online. We also have a one hundred percent satisfaction guarantee. If you’re not satisfied with a job for whatever reason, we’ll come back out. We’ll make sure that job’s right. And if you’re still not satisfied, then we refund your money. You don’t pay for that service. One last thing we’d like to mention is that we are family-owned, my brother and I, and we like to treat our customers like friends and family and neighbors, because you are. We live in the same neighborhoods as you, and we feel like everyone should be treated like friends, and that’s how we try to approach all of our relationships with our customers. Thanks for checking us out, and let us know if we can help you in any way.